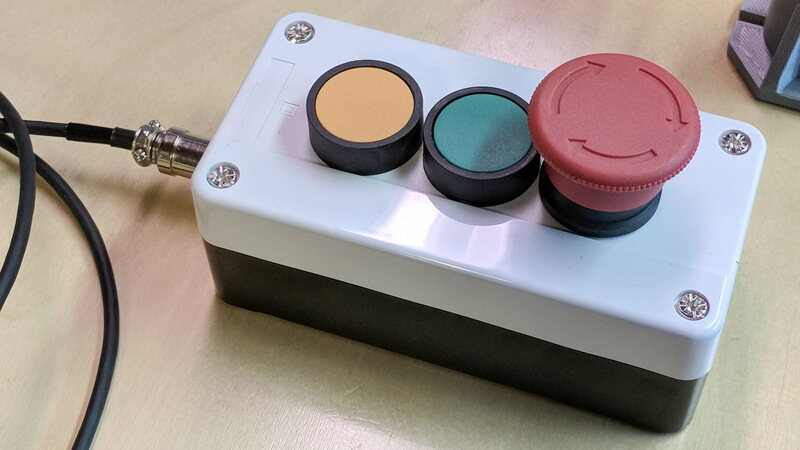 The Emergency Stop Push Button Switch Station arrived for ten buck delivered from halfway around the planet. You could CNC machine a precise D-hole, but let’s stay realistic about the application. 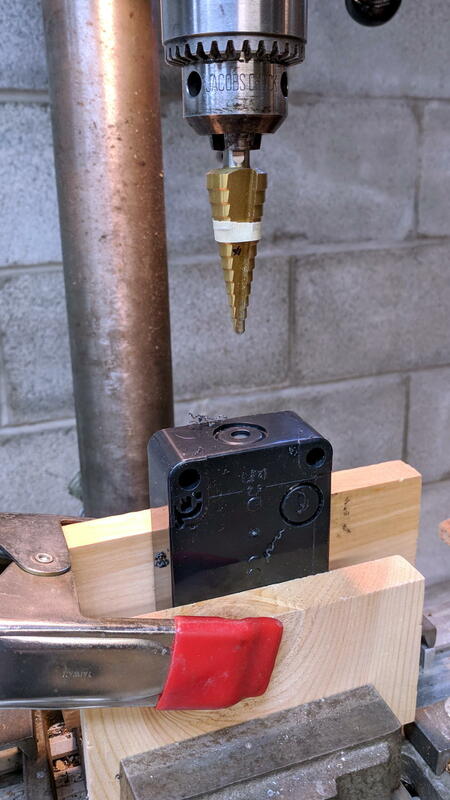 Applying a deburring tool enlarged the 9/16 inch hole enough to force the 16 mm threads into it, with the drill press holding the connector perpendicular to the box while I hand-turned the chuck to screw it in. Those pins are much too delicate. 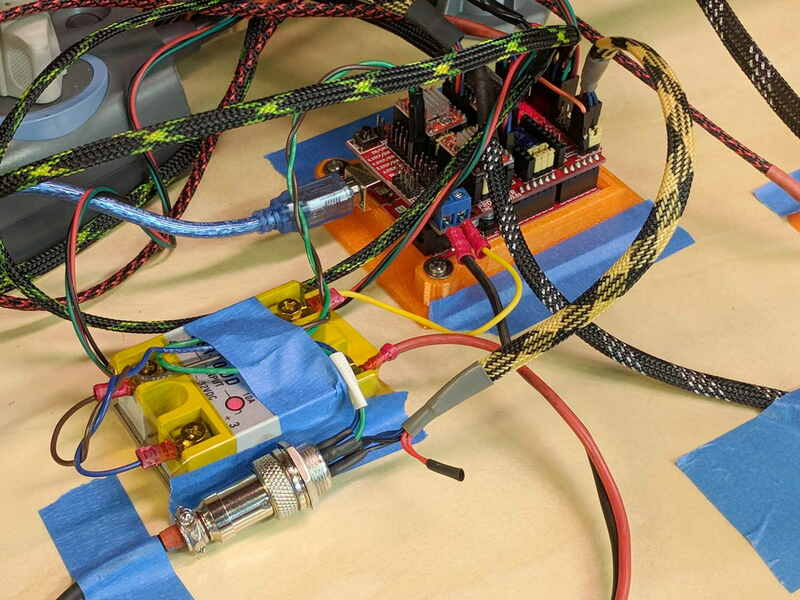 The DC-DC solid state relay input connects to the Arduino’s +5 V power supply through the red mushroom disconnect switch. 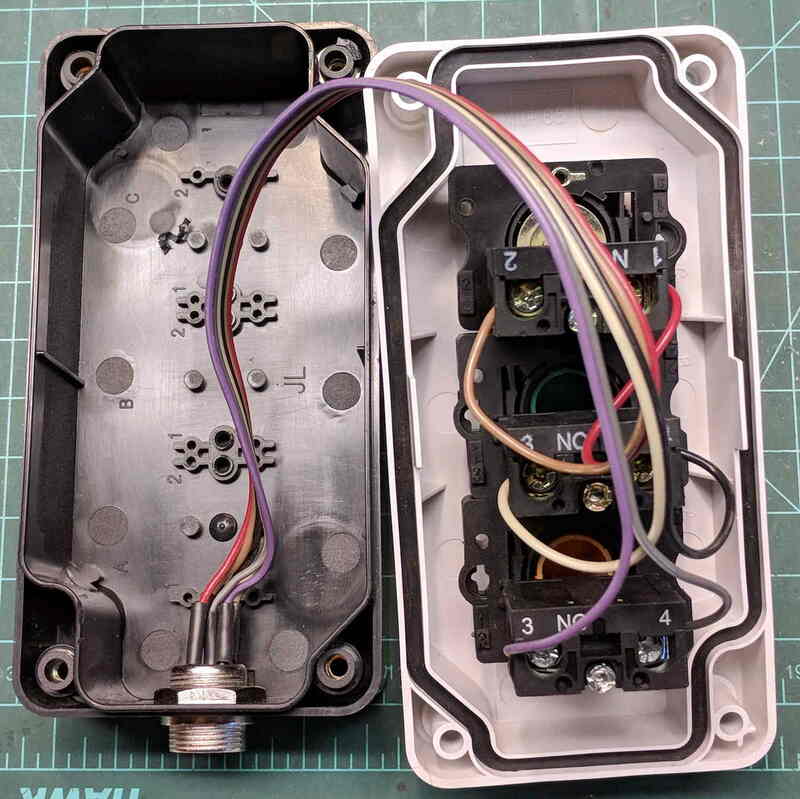 The mushroom is normally closed to turn on the SSR and connect the power brick’s +24 V supply to the motors; it opens when slapped. BRBL will continue about its business, but without any power to the steppers the MPCNC will stop dead in its tracks. Turn the mushroom cap clockwise to unlatch and reset. The disconnect switch should also kill AC power to the router, when I get around to adding one to the mix, probably through a DC-AC SSR. AFAICT, the cable should come out of the box on the end with the mushroom switch, putting the “normal” pushbuttons closer to me. I did it the other way around, because I want the panic button to be the most easily reached thing on the benchtop. If I have time to think about it, I can reach around the mushroom to the Hold switch.